Welcome to the Arkansas Infrared Inspections Website. 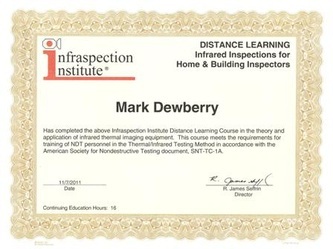 Arkansas Infrared Inspections services is a part of Clearview Inspections Inc. and offers thermal imaging in Greers Ferry, Higden, Edgemont, Fairfield Bay, Drasco, Heber Springs, Tumbling Shoals, Quitman, Shirley, Clinton, Batesville, Greenbrier, Searcy, Conway, Mountain View and surrounding areas. 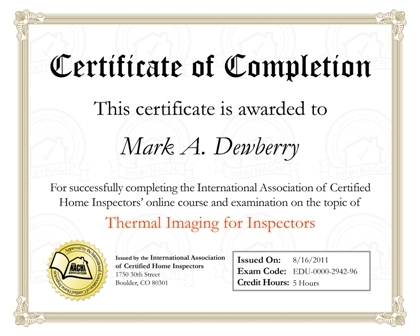 Infrared (thermal imaging) is an advanced, non-invasive technology that allows me to show homeowners or property managers things about their homes that can’t be revealed using conventional inspection methods.These inspections are an additional service that I offer and can be item specific or comprehensive. 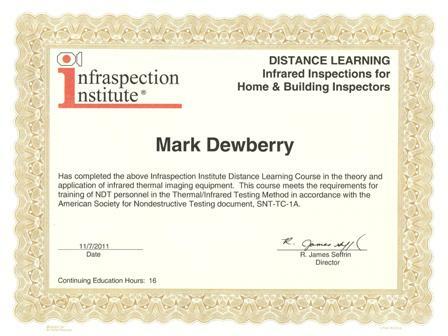 Sometimes the infrared inspection can be completed at the same time as a typical home inspection. Call 501-206-1839 today for information and/or to schedule an inspection to meet your current needs. What is an Infrared Camera ? An infrared (IR) camera is a versatile, lightweight and cutting-edge device that can enhance an inspector and clients' understanding of a buildings different systems and components. 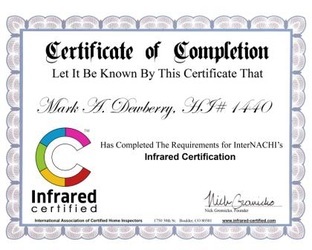 Its ability to read heat as color and then display that information in a way that's easily understood by homeowners and clients makes the IR camera an invaluable tool for anyone that owns or manages a property. Infrared cameras translate the heat signatures of objects into colors on a gradient scale, with higher temperatures appearing as lighter colors, and lower temperatures and wet areas appearing as darker colors. Also known as thermal imaging and thermography, IR technology captures the light that exists just outside the visible spectrum. 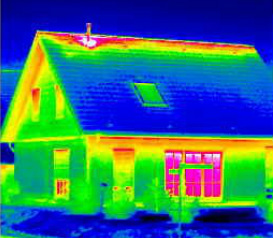 Thermal images show surface-heat variations, which is why an IR camera is such a diverse tool for commercial and residential inspections that can be used for a variety of applications. Abnormally hot electrical components and connections can be viewed during an electrical inspection. 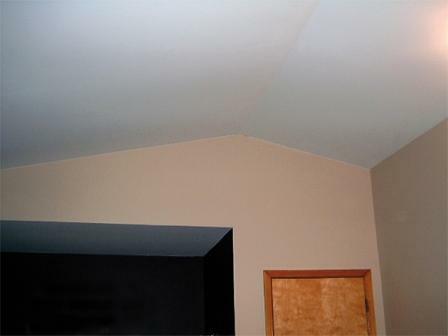 Areas of moisture that may lead to leaks and structural damage can be located based on apparent temperature differences. 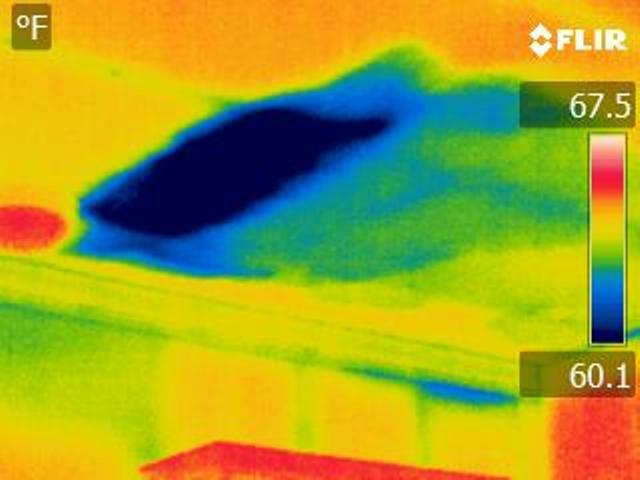 Heat loss and air leakage in a building envelope, and even areas of insufficient insulation, can be pinpointed quickly and accurately during an infrared inspection. ANYTHING WRONG IN THIS PICTURE ? 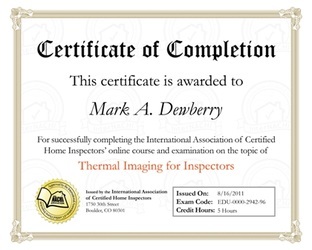 Thermal images are generally used in inspection reports to visually document problems found on site. The image captured with the IR camera that I use can be presented by itself, alongside a digital, visible-light photo or it can be placed inside the digital photo (also known as picture-in-picture) along with a description of the issue that was discovered. The inclusion of standard, digital images makes side-by-side comparisons easier for my clients to understand because it shows any obvious, visible defects. But IR doesn't stop at the obvious. The IR image shows accurate evidence of a defect that can't be fully captured with the digital camera. 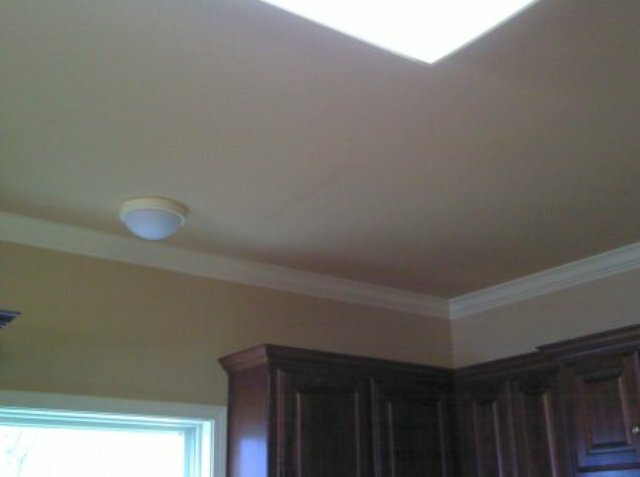 For example, a digital image may show a dried water stain at a wall-ceiling junction, while its IR counterpart displays a dark spot in the same area. The "clear" advantage of thermography is that while the digital image displays what looks like an old stain, the IR image may confirm that moisture is still present, requiring further investigation to locate and remediate the problem. Contact me today to put my experience and this amazing technology to work for you ! Questions, Comments ? Let me know, I'll respond as quickly as possible. Arkansas Infrared Inspections is a subsidiary of Clearview Inspections Inc. and proudly serves North Central Arkansas and surrounding areas.